The first five months of 2017 have been a grind for buyers in our area. Inventory has been quite limited and demand has been off the charts. However, in the month of May we started to see things loosen up, with the highest rate of new listings coming to market in some time. Below are two market samplings from the Greater Seattle area: north King County and south Snohomish County which are reflective of our entire market. 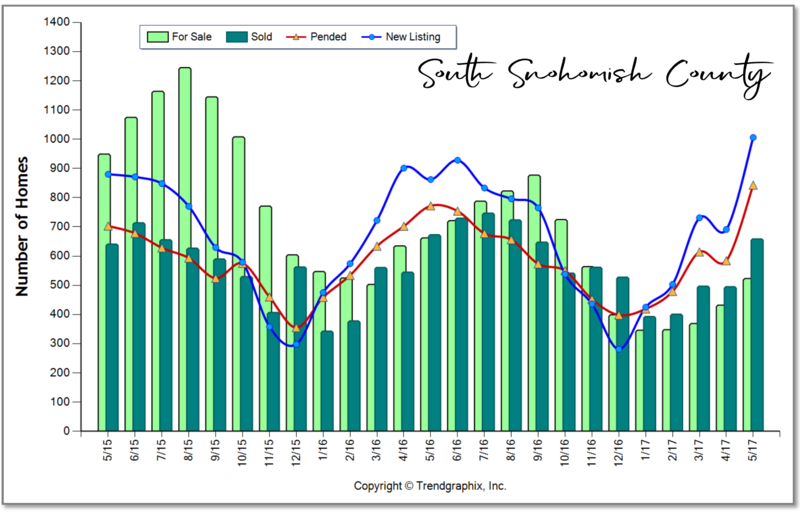 In May we saw just over 1,000 new listings come to market in south Snohomish County; the highest inventory push in one given month in over five years! In fact, it was a 46% increase over the previous month, and a 17% increase from the same month a year ago. This is good news for buyers, finally! One should note, however, that pending sales nearly mirrored the number of new listings, illustrating that demand is still very strong. I think we will see that opportunities have loosened up for buyers in the list-to-sale price ratios that will post in June closings (May pendings). My prediction is that they will have tempered a bit from the 103% posting in May, purely based on buyers having more selection. Demand surely met the new surge of inventory, but from what I am observing in the market, not all homes are getting multiple offers. When there are multiple offers, smaller groups of buyers may be vying for one house. We have even seen more price reductions in May with overzealous sellers not paying close attention these slight shifts in the market. Don’t get me wrong, the good houses that are well-priced and looking good are seeing great price escalation and competition, but some are simply selling with a one-buyer audience. There are just more opportunities when there is more inventory, and this is good news for all of us as tempered price growth is needed after a 51% increase in median price over the last four years. 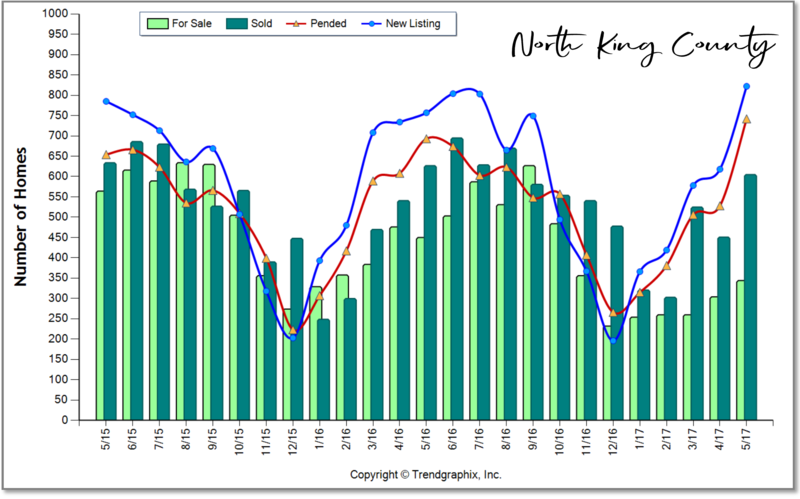 In May, we saw just over 800 new listings come to market in north King County; the highest inventory push in one given month in over three years! In fact, it was a 33% increase over the previous month and a 9% increase from the same month a year ago. Pending sales also met demand here, but more buyers were able to land a home, which is good news. List-to-sale price ratios recorded at an average of 107% in this area, so definitely a needed tempering as we head into June. When you are closer to jobs centers demand is higher, so the in-city market will continue to present a hustle for buyers, but more listings will equal a better chance of landing a house close to work. Prices in this area have increased 60% over the last four years. Currently, interest rates are a buyer’s dream come true! We started the year at 4.25%, bumped up to 4.375% in early spring, and we have inched down to 4% most recently. This reduction in rate is saving buyers thousands of dollars over the course of their mortgage on their monthly payments, somewhat offsetting the increase in prices since the first of the year. This is something to pay attention to, and could not come at a better time as it is coupled with more inventory. Inventory in June and July should continue to be strong as the long winter delayed folks getting to market, and many sellers are taking advantage of the prices. 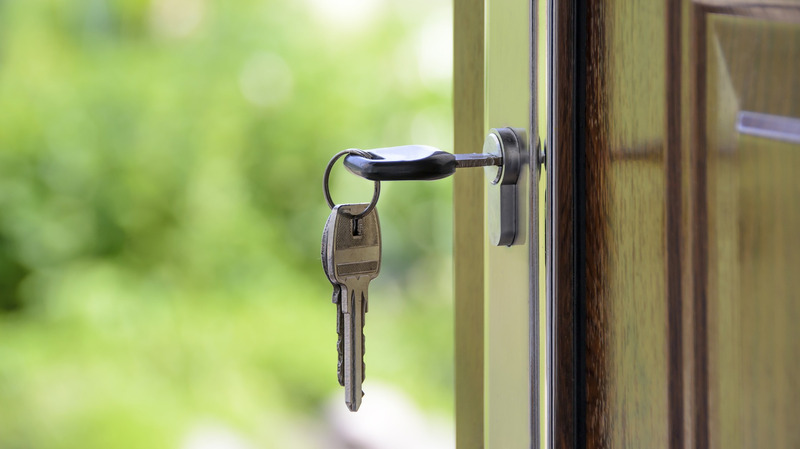 If you have thought about making a move or even your first purchase, now may be the time to not just dip your toe in the pool, but to jump in. It is summer and who doesn’t like a nice swim? Especially if that pool has more homes than we’ve seen in some time and cheap money. If you or anyone you know is interested in learning more about our market please contact one of our agents, as it is our goal to keep our clients informed and empower strong decisions.